IMA is world leader in the design and manufacture of automatic machines for the processing and packaging of pharmaceutical products. IMA’s experience gained in the field of solid dose processing and manufacturing, combined with the constant commitment to innovation, makes IMA Active division a leading supplier able to find the most suitable solution to your requirements. IMA Life division, leader in the field of aseptic processing and filling technology, can be considered a true partner to the pharmaceutical industry, offering a wide range of technologically advanced machines. IMA Safe division manufactures a complete range of blister packaging machines, capsule and tablet counters, tube fillers and cartoners and provides complete end-of-line solutions. Since 1974, IMA BFB has been designing and manufacturing end-of-line equipment and today it counts on the most comprehensive range of secondary packaging machines currently available on the market. INJECTA. The most flexible solution, handling all formats of ready-to-use components. 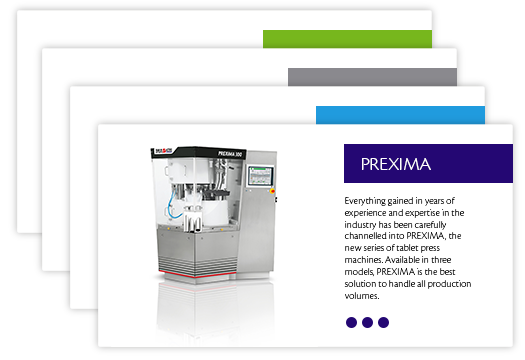 INJECTA’s flexible handling system defines new quality standards, performing 100% in-line quality control. LYnfinity is just a drop away. Discover the unlimited benefits of LYNFINITY and how continuous spray freeze drying technologies can boost your efficiency. IMA Group is a global leader in the design and manufacturing of automatic machinery used in the processing and packaging of pharmaceuticals products. Thanks to its high technological profile and the ability to offer tailor-made solutions, IMA Group can satisfy the most sophisticated requests of the different reference markets. In fact, the constant research, together with the development of innovative solutions, are the hallmarks of a highly competitive group in the global pharmaceutical market.